Every year we see new trends emerge. Whether it’s in fashion, beauty, interior design or, our favorite, weddings, there’s always something fresh to take inspiration from in the world of aesthetics. Today, we’re peeking at the top 10 wedding trends for 2017! 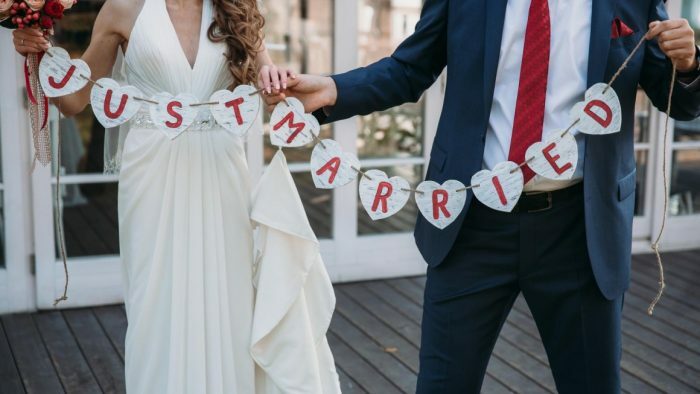 From extra bits of green in every nook and cranny of the celebration to romantic, off-the-shoulder wedding gowns, we’ve collected it all in one spot for you to snag some ideas from. 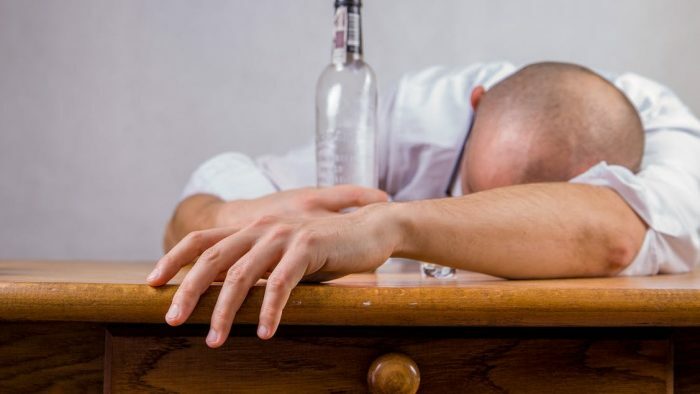 Some may be a bit over-the-top or out of your budget, but we suspect that you’ll be able to brainstorm and find a way to incorporate anything that strikes your fancy below. 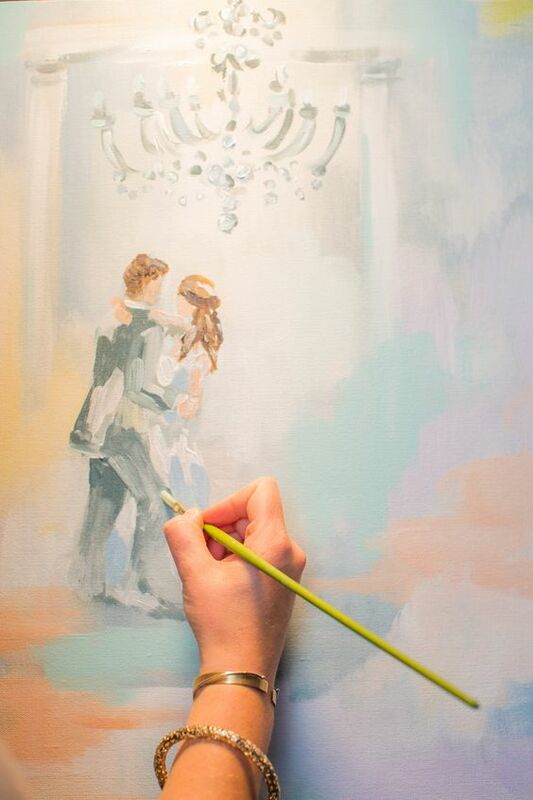 Have a keepsake that will truly last a lifetime by hiring a portrait artist to paint a memory from the night. Your first dance or the exchange of the rings can be painted – live – for your guests to gaze at and for you to have the rest of your lives. Be aware that you don’t have to opt for paint, some artist will use charcoal or pastels and sketch the event instead. This becomes such a beautiful centerpiece – although fixated in a corner – and a piece of entertainment for the night as well. Whether it’s a destination celebration or a wedding in your hometown, we’re loving the welcome bag trend for your guests. Instead of a favor or a handwritten thank you that comes after the wedding, some couples are opting for this instead. Fill up a bag with some goodies that speak to your personal couple style and the location. Local treats and the like are stuffed inside and given to guests upon check-in at their hotels or exiting the venue that evening. 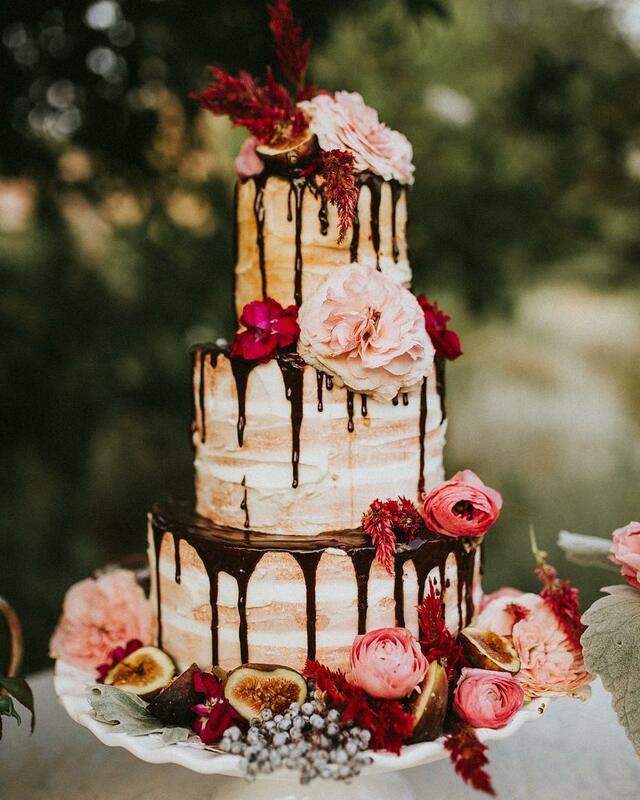 Naked cakes were all the rage for a while but now this “drip” twist is “taking the cake.” It’s modern, it’s edgy and looks rather delicious too! Featuring drool-worthy drips down the sides of every layer, we’re loving this new take on tradition. 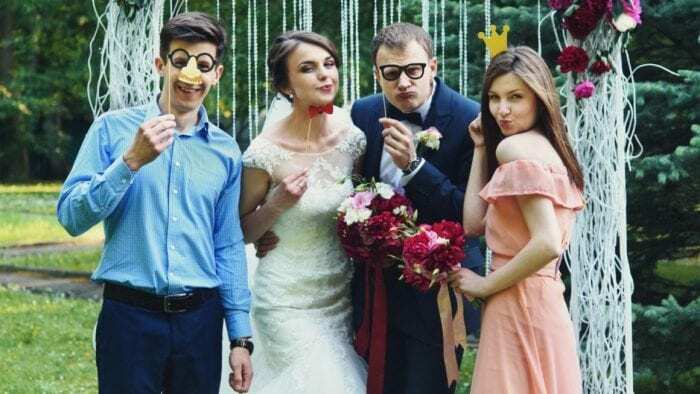 If you’re getting married outside or in a less formal venue, then this style cake is a great way to top off the day in a trendy, memorable fashion. 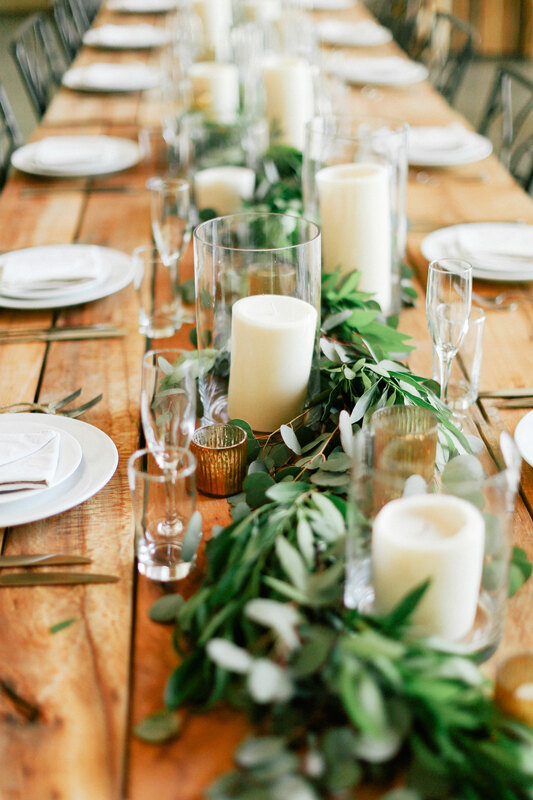 Textural greens are where you want to be when planning a wedding reception in 2017. Decor is going a route that embraces organic beauty and natural feels – which includes as much greenery as one can hold at their venue. 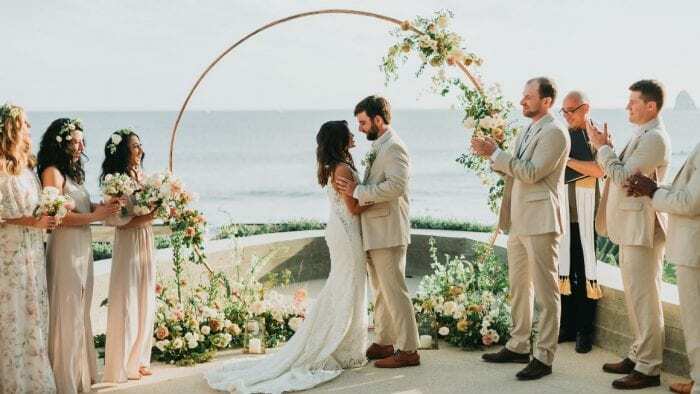 From the tables to the ceiling to the bride’s bouquet, there’s a certain amount of romance and lushness that is spread when following this trend. And we don’t suspect it going anywhere soon. 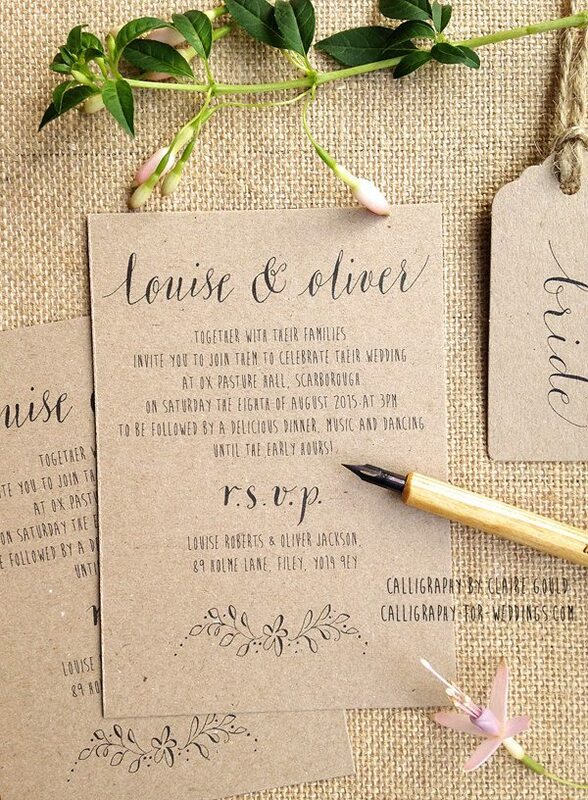 Add a beautiful, personal touch to your wedding from the very start by sending out handwritten invitations. It’s unique, it’s more whimsical and romantic and it’s 100% on trend too. 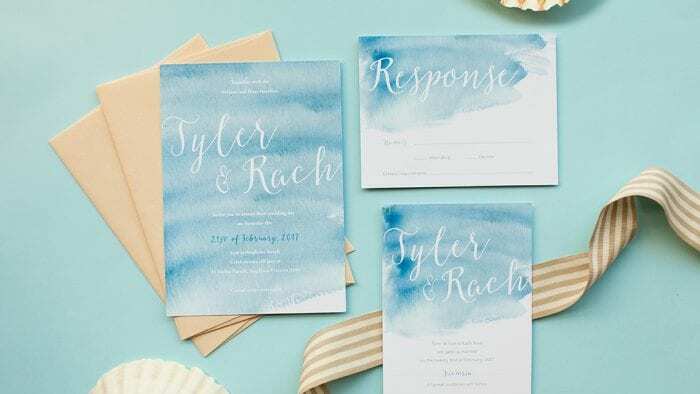 Instead of stuffy, boring fonts, you can DIY or hire a calligraphy artist to do the job and create an invite that fits your wedding day vision. 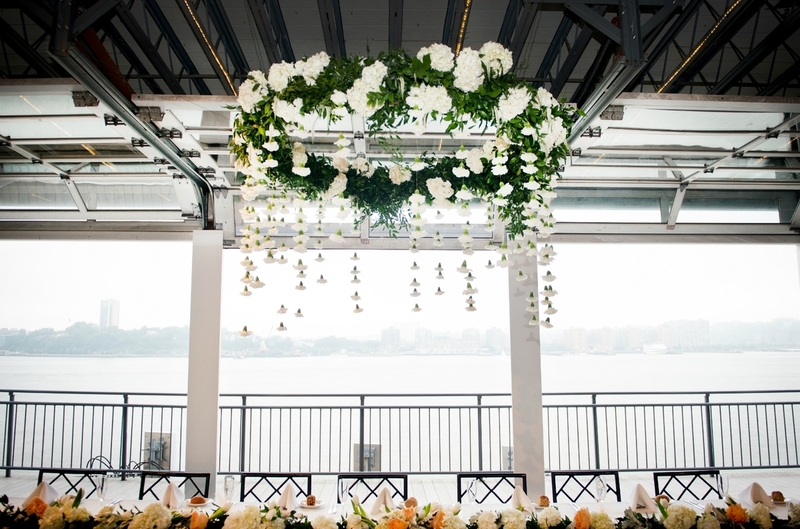 Coinciding with the greenery trend are the floral chandeliers. Whether your venue is inside or out, these beautiful pieces add a certain amount of luxury and beauty to the site. Instead of using extra-posh crystal chandeliers, opting for something softer and more romantic seems to be what brides are pushing for. And fortunately, you can even DIY some of these yourself! 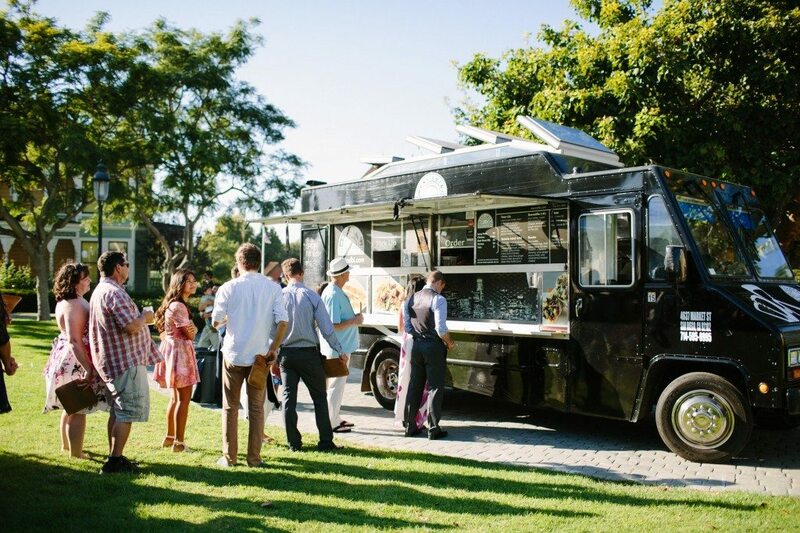 Food trucks are trendy in general. Whether it’s for a Sunday afternoon date or to serve up some great food at your wedding, everyone loves the “movable” food notion. And you really have endless options when it comes to what’s available. From just desserts to lobster rolls, see what’s available locally before you take the plunge and choose a buffet dinner instead. Your guests will thank you! 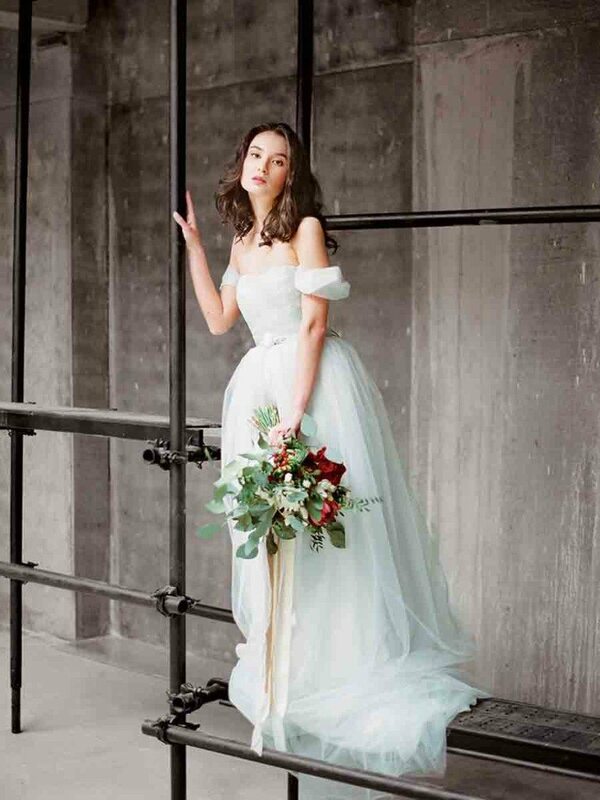 Whether you’re in the market for something modern or something more vintage-inspired, you can find an off-the-shoulder gown that fits the bill. But, no matter the style, you’ll have one thing in common with each design – it’ll be romantic. There’s something about this detail that brings extra femininity to the bride’s look and that may just be why it’s so popular right now. Instead of just a DJ or even a live band, couples are going XL in the entertainment category. Aerialists, fire breathers, dance teams and the like are just some of the ideas that we’ve seen making the rounds lately. 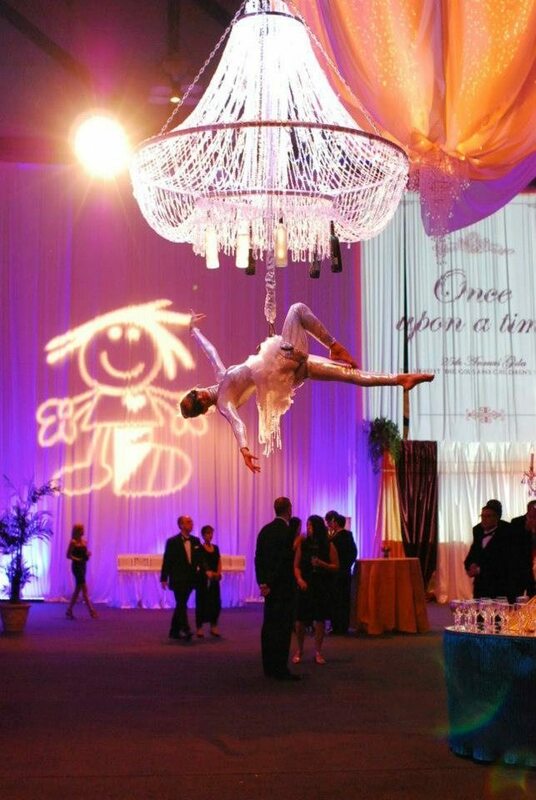 If you want to splurge on your guests just a bit, do something that really wows them by serving up entertainment that’s both top-notch and unique. Finally, metallic tones are causing quite the scene as well. From the bridesmaids’ dresses to the tables, mixing and matching all shades has become the go-to move. Rose gold, yellow gold, copper and silver, can create a gorgeous tablescape and look exceptional in photos. Although you may want to stick with classic tones like blush or lavender, metallic accents will add something special.